As I sit down to write this I can’t believe Hudson is less than one month away from turning one year old. ONE. YEAR. OLD. ***I survivedddddd*** But in all seriousness, this has been the greatest and most challenging journey out of my (almost) 31 years on this earth. It’s crazy to think that my fiance and I have been in charge of this incredible human for an entire year - 12. Flipping. Months. From this moment on I need to remember... remember how painfully slow the days are but how mindnumbinly fast the first year has gone, how he’ll never ever in this moment be this small ever again, that someday will be the last day that I ever pick him up, that someday he’ll jump into the car with his friends and joyfully back out of our driveway in his very first car. It’s crazy because just the simple act of writing those words gets me a little emotional and I can feel a lump growing in my throat. I say this because, in my experience, those first 6-8 weeks of life seem it seemed like I’d never make it out alive. It seemed like I’d never eat or sleep again. I felt, for a minute there, like my body would never be my body again, and that I'd never be the me I used to know. And then all of the sudden, you blink and you have an 11 month old who's SO close to walking, gaining all of the independence you never thought he’d have, feverishly growing, exploring and expanding his world every single day. These are daily reminders for me to slow down, live in the moment and be more present. 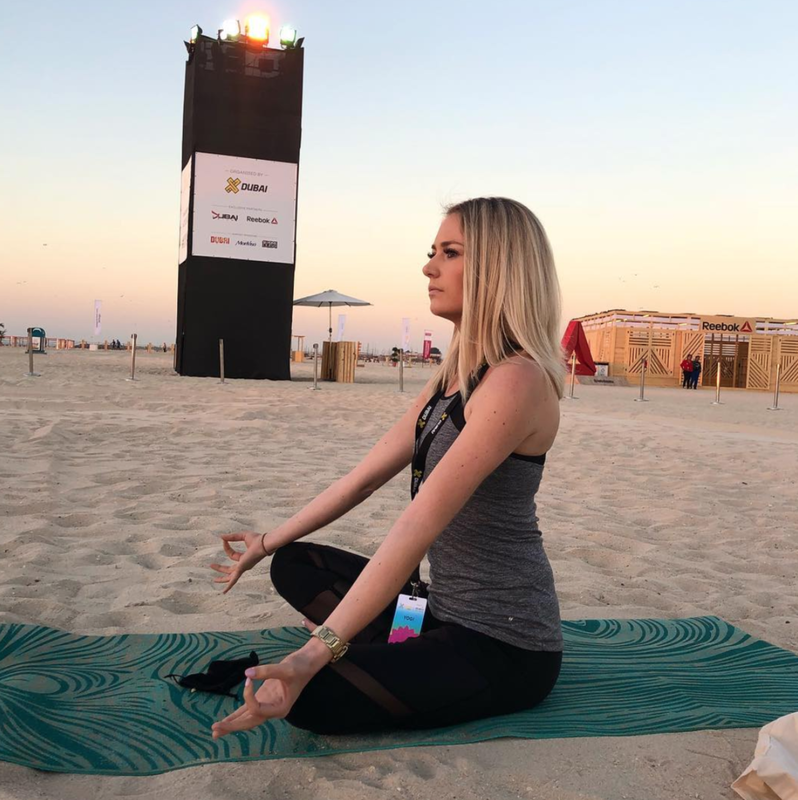 This is part of the reason I love sharing our journey with you guys; it forces me to sit down, reflect and chat about what’s helped and worked for us along the way. Most recently Hudson has almost eliminated bottles completely. If I never have to wash, clean and/or sterilize another bottle in my life, I’d declare that a victory! When transitioning Hudson to purees and solid foods we discovered Little Spoon. I find the food industry today to be a pretty scary place - you never really know if what you’re eating and for the most part it’s likely tainted with unknown GMO’s and dangerous cancer-causing chemicals. 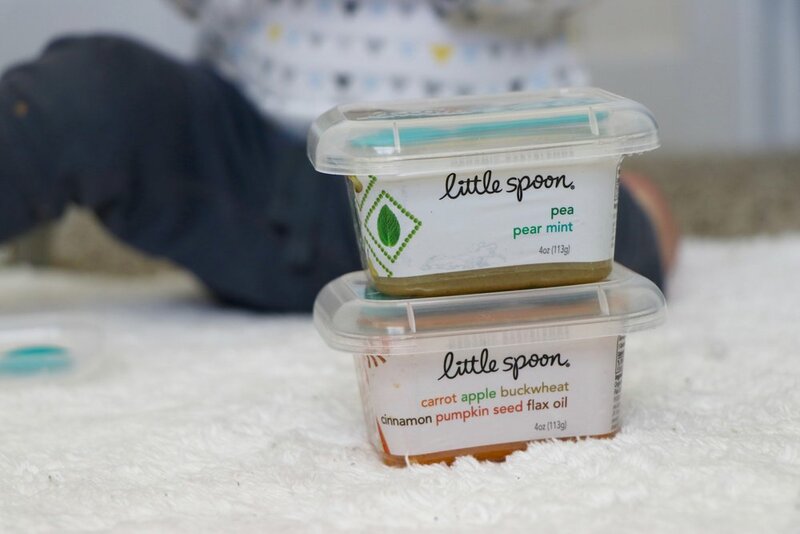 If you guys aren’t familiar, Little Spoon is a pediatrician-developed organic, fresh, baby food company that delivers personalized meals on an automatic subscription type basis every other week. We’re enrolled in the 2 meals/day plan and every two weeks 28 blends are delivered to our doorstep on ice; it’s honestly the most convenient thing we’ve decided to do since he’s been demanding more solid food. Another thing my fiance Matt and I wanted to be conscious about was selecting foods that would expand his palate to avoid a picky eater later down the road. I was really impressed when I saw most of the blends are made fresh with ingredients like turmeric, chia, flax, beets and avocado. We also learned that Little Spoon develops their blends with a unique Blueprint nutrition approach. Essentially they develop their blends with their very own Pediatric Nutrition Board of pediatricians and dietitians using the latest in pediatric nutrition science. I’m sorry but that’s one more thing that can be taken off my responsibility plate as a parent and I’m NOT going to complain about that. This also ensures that Hudson’s getting the proper micro and macronutrients in order to grow and develop properly. Along with our graduation to “big boy foods” we’ve also made the decision to finally get the kid a legitimate highchair. When he was younger he wanted nothing to do with sitting in any type of chair, the only way he would eat (not on our laps) is if he was sitting in his bumbo. A few months down the road he’d tolerate the type of chair that clips onto the table or island surface - we used one from Phil&Ted’s Lobster Highchair and it did the trick for awhile. But it was definitely time for an upgrade. We decided to go with the Nano Flat Fold Highchair from Bloom. We’re still living that apartment life so the fact that it folds up easily and takes up minimal space when we’re not using it is key for us a family. I also really enjoy that the tray is a little larger than most I’ve seen on other highchairs. While it doesn't completely eliminate a mess on the floor, it definitely cuts down on the amount of food Hudson can toss off the side of the tray, ha! Okay so you know we like to #FASHUN over here on YBC® every now and then. I'd never thought that I'd be one to buy clothes for someone OTHER than myself but here I am completely and fully obsessed with finding the cutest little pieces from amazing small businesses. 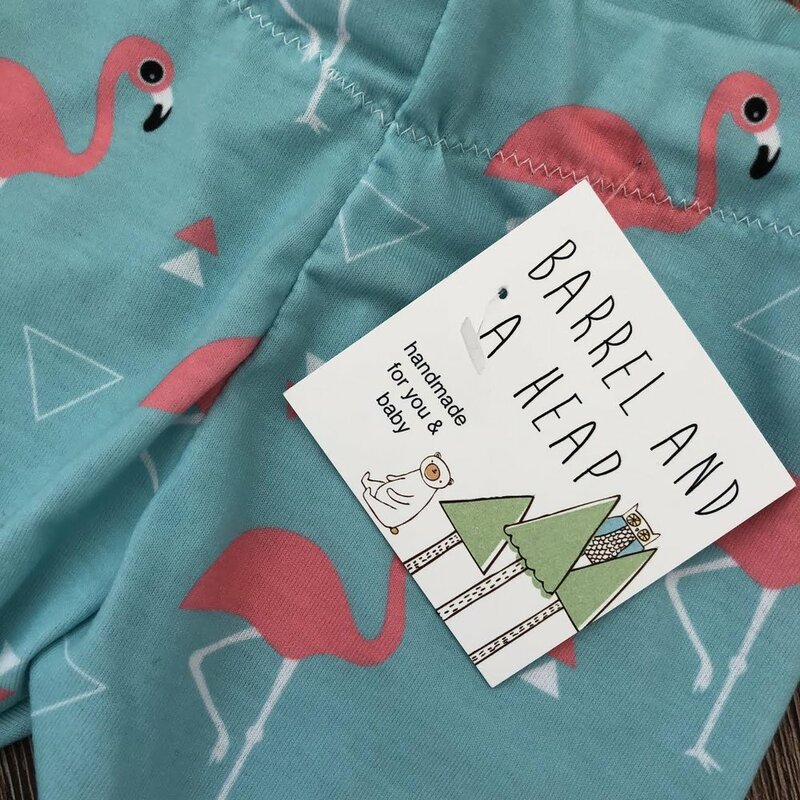 If you love shopping small, you need to visit Barrel and A Heap on Etsy. Owner Carissa makes each piece by hand with love and care, and the quality of her products is superb. I love a good flamingo moment, and she had a bunch of cute items like the stretchy pants you see above with matching hat (!! 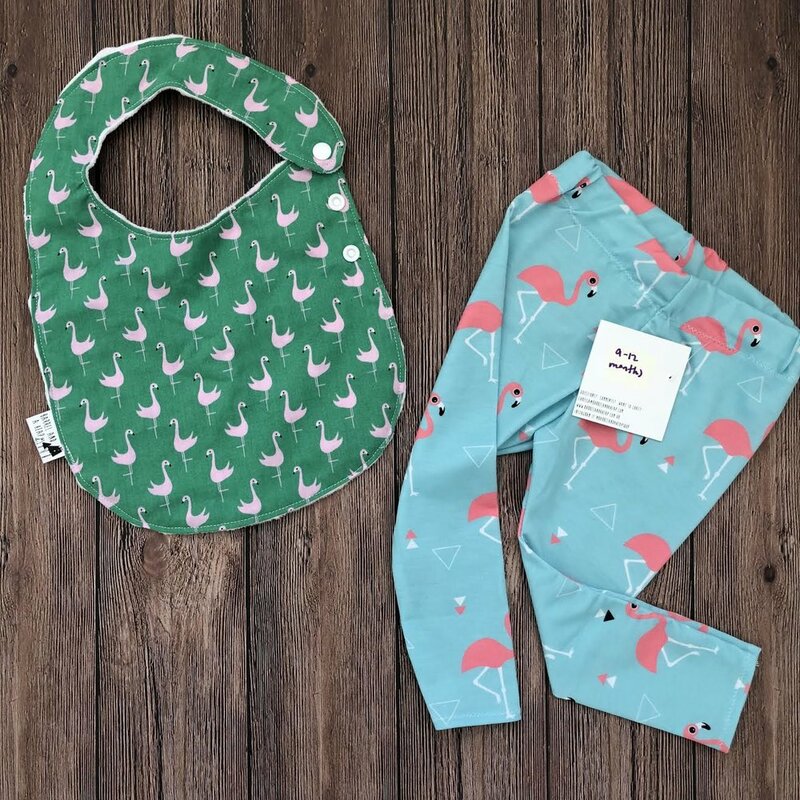 ), and the adjustable and reversible bib and stretchy pants you see below. I highly recommend checking her out if you're in need of new baby gear. Andddd we all know how I feel about KicKee Pants and they've outdone themselves again! Their little newborn set (complete with ruffles, people!) is too cute for words. It's made from the softest fabric I've felt, yet somehow remains durable and functional. Magic! I'd love to hear what's going on in your life with your babe(s) - any new finds I should know about?